The Appearance Day of Our Beloved Spiritual Master. Please accept my most humble obeisances, and kindly forgive my offences. On this most blessed event; Sri Vyasa-Puja, the appearance day of my beloved spiritual master, I am filled with a sense of gratitude and wonder. I cannot even imagine where my life would be today, if you had not appeared and blessed us all with your divine benediction. The fact that you have always resided in my heart, and have been my most constant friend and ever well-wisher, even without your physical presence, proves our eternal relationship with you. So many friends and family have come and gone, but you Srila Prabhupada, have remained in my life as the one constant I could always turn to. You are present in your vani; your books and instructions. You are present still in your pictures and murti’s. You live in the hearts of your sincere devotees. You have touched us all so deeply; we cannot help but remember you. Srila Prabhupa, I am most unworthy to have received your mercy, and because of knowing my insignificance, it has caused me to be even more grateful and appreciative of your blessings. This is my position, I am completely unworthy, and most fallen, therefore by showing me your mercy, your mercy is most successful. For you are patita-pavana, the savior of the fallen souls, and who is more fallen than me? I have no good qualities; born of low birth, without good intelligence, without beauty, or wealth, I am a fallen soul, desiring only your causeless mercy to be bestowed upon me. This evening I was reading from the “Mukunda mala storta”. Using a Sanskrit edition published by Śrīla Bhaktivinoda Ṭhākura in 1895, Śrīla Prabhupāda began translating the Mukunda-mālā-stotra in the late 1950’s. But after completing six verses with commentary, he suspended it to work on the Śrīmad-Bhāgavatam. He never resumed it. The following is verse 3 with Srila Prabhupāda’s translations and purport. It is a very sweet verse, and powerful purport. O Lord Mukunda! I bow down my head to Your Lordship and respectfully ask You to fulfill this one desire of mine: that in each of my future births I will, by Your Lordship’s mercy, always remember and never forget Your lotus feet. Today we honor the Appearance Day of Lord Nityananda. It is advised that devotees observe a half day fast, and meditate on some of the glories of Lord Nityananda. With this in mind we are posting one nice chapter from the Sri Caitanya-caritamrta describing the Lord and his devotees. 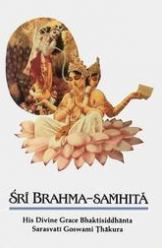 As the branches and subbranches of Lord Caitanya Mahāprabhu were described in the Tenth Chapter, in this Eleventh Chapter the branches and subbranches of Śrī Nityānanda Prabhu are similarly listed. This following verse reminds me of the importance of reading Srila Prabhupada’s books every day. Hearing from the pure devotee of the Lord, is so powerful that it can revive the living entity’s memory of his eternal relationship with the Supreme Personality of Godhead. My dear Lord, You are glorified by the selected verses uttered by great personalities. Such glorification of Your lotus feet is just like saffron particles. When the transcendental vibration from the mouths of great devotees carries the aroma of the saffron dust of Your lotus feet, the forgetful living entity gradually remembers his eternal relationship with You. Devotees thus gradually come to the right conclusion about the value of life. My dear Lord, I therefore do not need any other benediction but the opportunity to hear from the mouth of Your pure devotee. 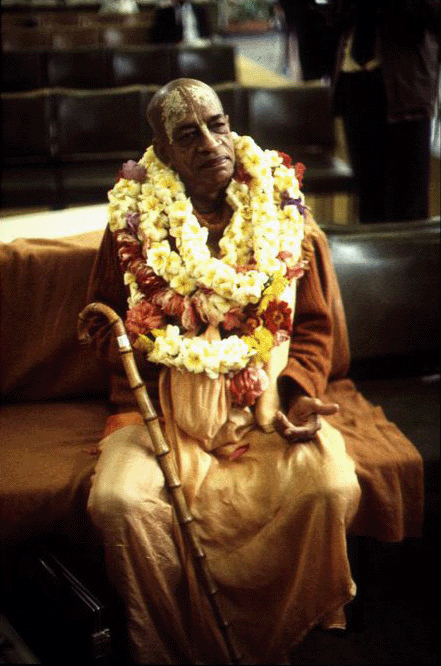 Reading the books of His Divine Grace A.C. Bhaktivedanta Swami Prabhupada is hearing from the mouth of the pure devotee. 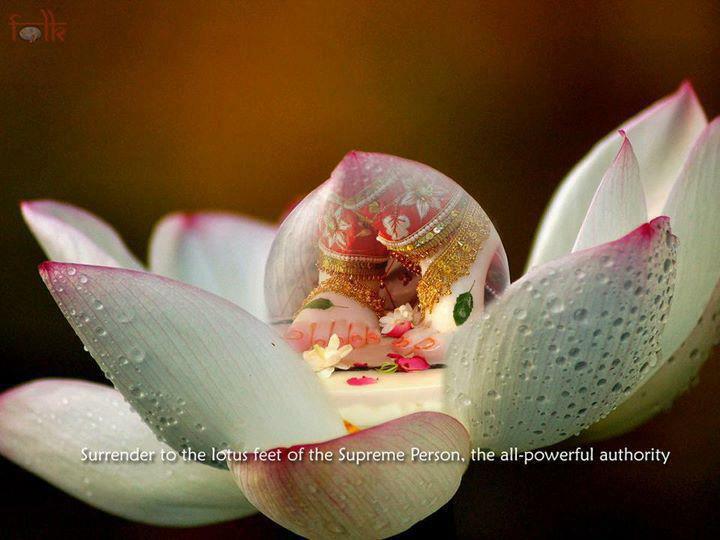 My dear Lord, Your two lotus feet are so beautiful that they appear like two blossoming petals of the lotus flower which grows during the autumn season. Indeed, the nails of Your lotus feet emanate such a great effulgence that they immediately dissipate all the darkness in the heart of a conditioned soul. 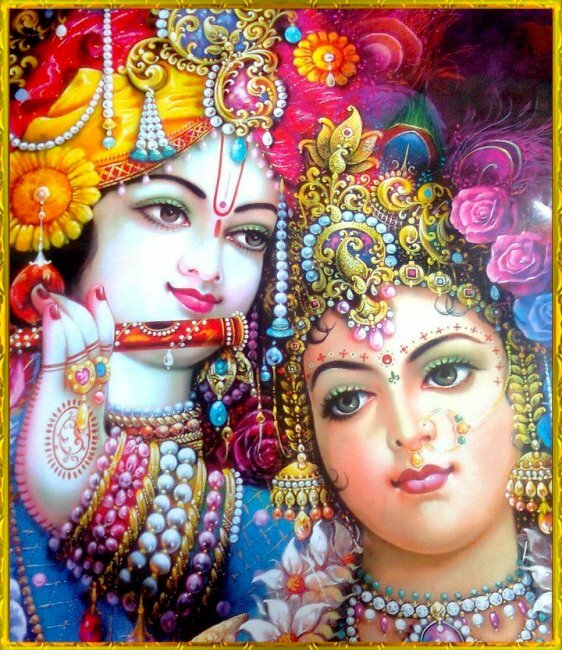 My dear Lord, kindly show me that form of Yours which always dissipates all kinds of darkness in the heart of a devotee. My dear Lord, You are the supreme spiritual master of everyone; therefore all conditioned souls covered with the darkness of ignorance can be enlightened by You as the spiritual master. Here are some of the specific symbolical marks on the spiritual body of the Personality of Godhead which distinguishes His body from the bodies of all others. They are all special features of the body of the Lord. The Lord may appear as one of us, but He is always distinct by His specific bodily features. 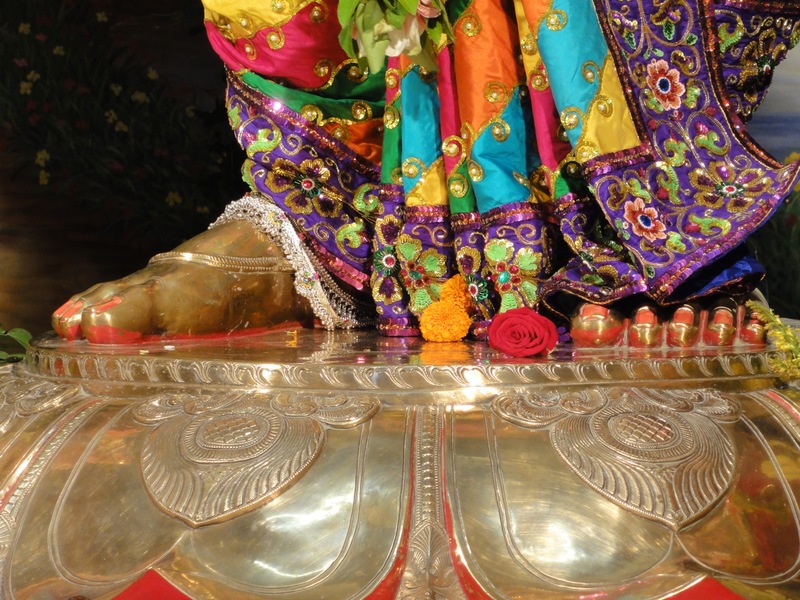 A pure devotee always engages in the service of the Lord, taking shelter of His lotus feet, and therefore he has a direct connection with the saffron mercy-particles that are strewn over the lotus feet of the Lord. 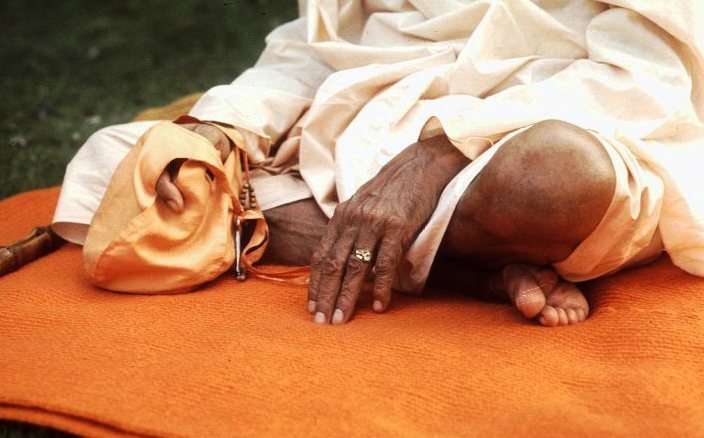 Although when a pure devotee speaks the articulation of his voice may resemble the sound of this material sky, the voice is spiritually very powerful because it touches the particles of saffron dust on the lotus feet of the Lord. As soon as a sleeping living entity hears the powerful voice emanating from the mouth of a pure devotee, he immediately remembers his eternal relationship with the Lord, although up until that moment he had forgotten everything. saḥ—that; uttama-śloka—O Lord, who are praised by selected verses; mahat—of great devotees; mukha-cyutaḥ—delivered from the mouths; bhavat—Your; pada-ambhoja—from the lotus feet; sudhā—of nectar; kaṇa—particles; anilaḥ—soothing breeze; smṛtim—remembrance; punaḥ—again; vismṛta—forgotten; tattva—to the truth; vartmanām—of persons whose path; ku-yoginām—of persons not in the line of devotional service; naḥ—of us; vitarati—restores; alam—unnecessary; varaiḥ—other benedictions. It is explained in the previous verse that one has to hear glorification of the Lord from the mouth of a pure devotee. This is further explained here. The transcendental vibration from the mouth of a pure devotee is so powerful that it can revive the living entity’s memory of his eternal relationship with the Supreme Personality of Godhead. In our material existence, under the influence of illusory māyā, we have almost forgotten our eternal relationship with the Lord, exactly like a man sleeping very deeply who forgets his duties. In the Vedas it is said that every one of us is sleeping under the influence of māyā. We must get up from this slumber and engage in the right service, for thus we can properly utilize the facility of this human form of life. As expressed in a song by Ṭhākura Bhaktivinoda, Lord Caitanya says, jīva jāga, jīva jāga. The Lord asks every sleeping living entity to get up and engage in devotional service so that his mission in this human form of life may be fulfilled. This awakening voice comes through the mouth of a pure devotee. Ganesha (Sanskrit: गणेश; IAST: Gaṇeśa) also spelled Ganesa or Ganesh, also known as Ganapati (Sanskrit: गणपति;IAST: gaṇapati), Vinayaka (Sanskrit: विनायक; IAST: Vināyaka), and Pillaiyar (Tamil: பிள்ளையார்), is one of the deities best-known and most widely worshipped in the Hindu pantheon. His image is found throughout India and Nepal. Hindu sects worship him regardless of affiliations. Devotion to Ganesha is widely diffused and extends to Jains, Buddhists, and beyond India. The joyous elephant-faced deity known as Ganesa is revered by one billion Hindus worldwide, and though his worship has little place in the modern-day Hare Krsna movement, his personality and pastimes are part of ISKCON’s heritage. Ganesa is often seen as the creator and remover of obstacles, as the guardian at entrances, and as a spiritually potent figure who can avert all evil influences. In popular Hindu lore he is thus the god to be worshiped first, before all religious ceremonies, public and private. Things tend to start off with Ganesa, and this is reflected even in common idiomatic phrases. For example, in Maharashtra when a dedication or inauguration is to be performed, a Marathi speaker may refer to the occasion as Sri ganesa karane (“doing the Sri Ganesa”). Another such expression is ganapatice kele (“to conceive a child”). Similar phrases are found in other Indian languages. In the Bhagavad-gītā it is also said that such fallen devotees are given a chance to take birth in a family of highly qualified brāhmaṇas or in a rich mercantile family. A devotee in such a position is not as fortunate as one who is chastised by the Lord and put into a position seemingly of helplessness. The devotee who becomes helpless by the will of the Lord is more fortunate than those who are born in good families. The fallen devotees born in a good family may forget the lotus feet of the Lord because they are less fortunate, but the devotee who is put into a forlorn condition is more fortunate because he swiftly returns to the lotus feet of the Lord, thinking himself helpless all around. 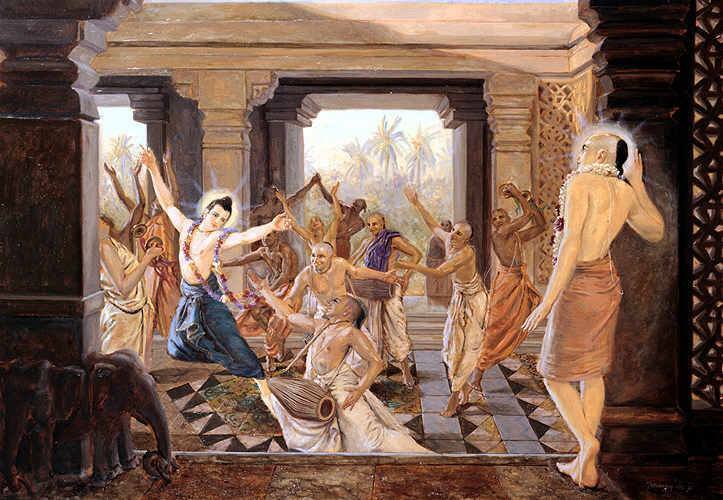 My dear Vyāsa, even though a devotee of Lord Kṛṣṇa sometimes falls down somehow or other, he certainly does not undergo material existence like others [fruitive workers, etc.] because a person who has once relished the taste of the lotus feet of the Lord can do nothing but remember that ecstasy again and again. A devotee of the Lord automatically becomes uninterested in the enchantment of material existence because he is rasa-graha, or one who has tasted the sweetness of the lotus feet of Lord Kṛṣṇa. 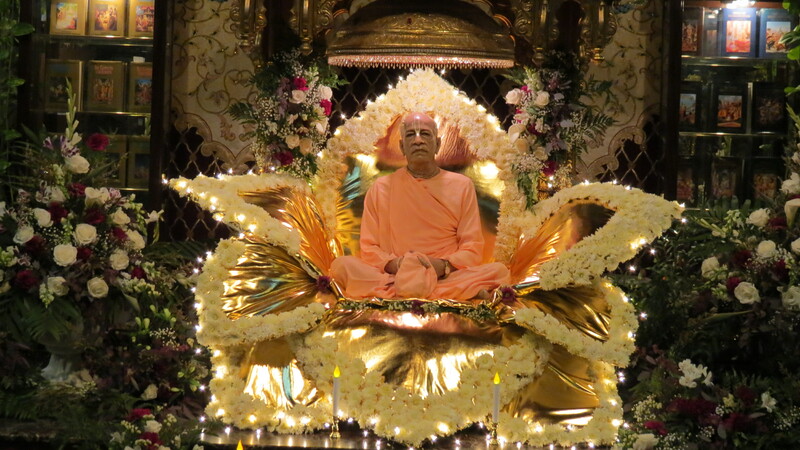 There are certainly many instances where devotees of the Lord have fallen down due to uncongenial association, just like fruitive workers, who are always prone to degradation. But even though he falls down, a devotee is never to be considered the same as a fallen karmī. A karmī suffers the result of his own fruitive reactions, whereas a devotee is reformed by chastisement directed by the Lord Himself. The sufferings of an orphan and the sufferings of a beloved child of a king are not one and the same. An orphan is really poor because he has no one to take care of him, but a beloved son of a rich man, although he appears to be on the same level as the orphan, is always under the vigilance of his capable father. A devotee of the Lord, due to wrong association, sometimes imitates the fruitive workers. The fruitive workers want to lord it over the material world. Similarly, a neophyte devotee foolishly thinks of accumulating some material power in exchange for devotional service. 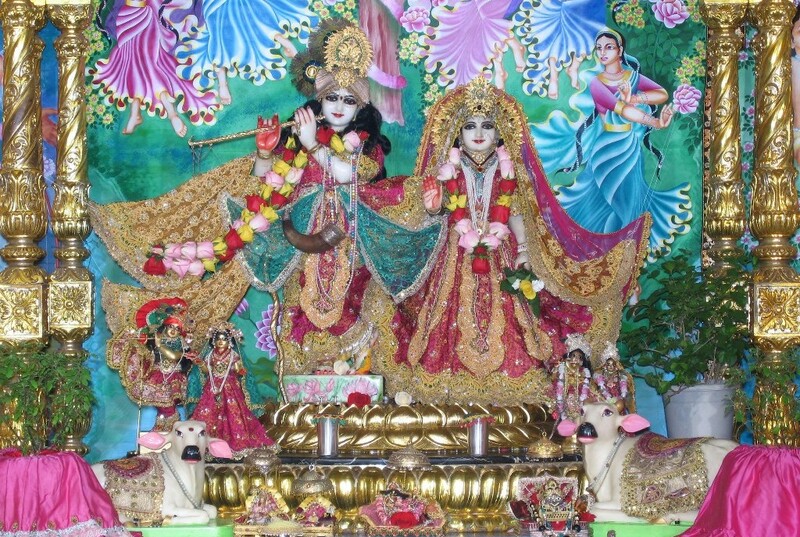 Such foolish devotees are sometimes put into difficulty by the Lord Himself. As a special favor, He may remove all material paraphernalia. By such action, the bewildered devotee is forsaken by all friends and relatives, and so he comes to his senses again by the mercy of the Lord and is set right to execute his devotional service.